We give preference exceptionally to the best major plants and factories of the impeccable reputation and with a brand-name recognition in the cosmetic market. Our partners – manufactures as well as the other TianDe business system agents work within franchising relationship model that is they are independent companies employing TianDe trademark. This system is mutually beneficial. Manufacturing Companies mark their products with TianDe logo as a unique quality status stamp, therefore get a predictable excellent demand and top levels of orders. Business Community in its turn gains a partner interested in long-term cooperation as well as the guaranteed high quality of goods. TianDe Corporation finds searching for manufacturing enterprises easy. 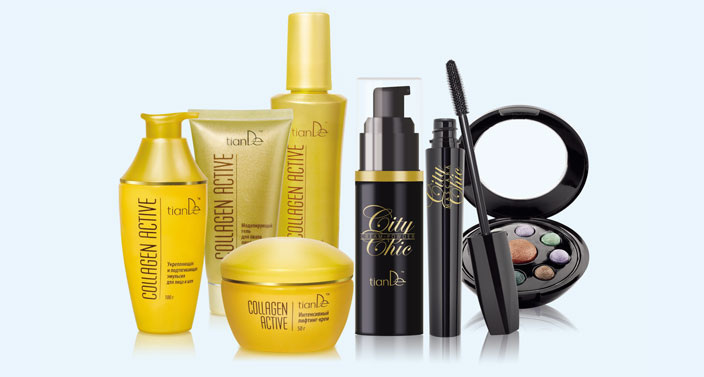 The best cosmetic and pharmacologic factories are concerned by the profitable sales of their products in large scopes, which is granted by TianDe brand. As a result, analyzing the working capacity of those plants desiring to employ TianDe trademark, company analytic centers (partners -franchisee)obtain a vast field for the choice. Naturally, in such conditions we give preference exceptionally to the best major plants and factories of the impeccable reputation and a brand-name recognition in the cosmetic market. Nowadays TianDe products are manufactured by the best enterprises in China, Russia, Belarus. The achievements of hundreds of Scientific and Research Laboratories are employed here. At the outset the company counted mainly upon the products, manufactured in China and based on ancient traditional oriental medicine recipes, perfect formula of those is proved by millenniums. And the company was not mistaken! These very products were longed for and anticipated by consumers, who got completely tired of “chemical products”. Afterwards, responding to the changing conditions of the market and consumer needs, as well as considering the wishes of its franchisees, the company has signed contracts with Russian and Belarus plants and has dramatically increased the assortment of goods by means of Biologically Active Additives and Tea. The product portfolio policy has gradually changed regarding the products manufactured in China. The range of goods produced due to the ancient oriental recipes was enlarged by those manufactured due to the advanced European developments, including nano-technological ones.